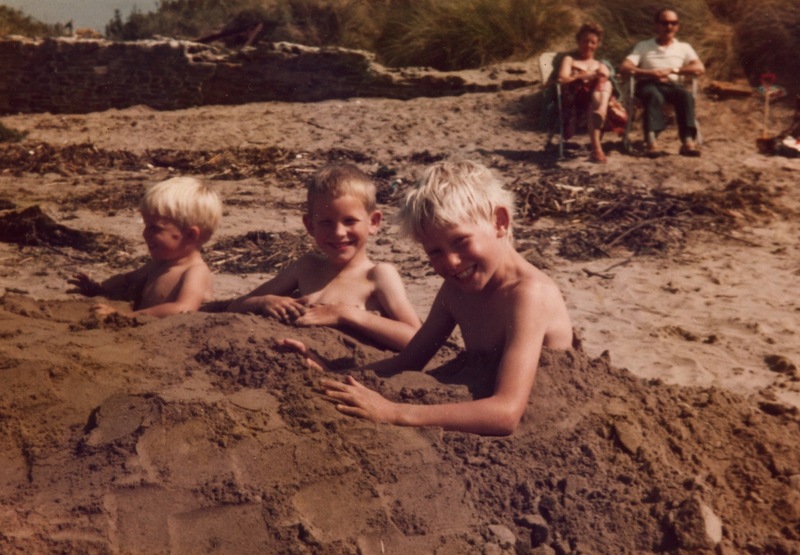 Here we are, Martin, Peter and I half-buried on a holiday beach. Gran and Grandpa Hunt, seated behind, may have had something to do with this! We had many good holidays, camping in our big orange tent, with grandparents staying nearby.